First, D.K., tell us a little about yourself. I am a romantic and a lover of history and natural environments. The sea rests my soul and the Everglades give me life. I find joy in beauty and diversity and I have worked in exotic, foreign locations that enriched my life and broadened my understanding of human nature. I lived with my family cruising the Caribbean on our yacht Lady Ace for three years, experiencing the power of nature. I love to tell about those adventures and am a professional presenter at organizations and events. I write because I must and am thrilled when others enjoy the stories I tell. My career includes CEO responsibility for regional implementation of public/private programs to help specific populations from unemployed to migrant and seasonal farmworkers. I wrote and implemented successful grants in the $millions and worked across the nation on behalf of persons needing services and support to find a quality life. Whatever is required by the situation is what I write. Romance? Okay. Paranormal? Okay. Non-fiction? Okay. Essay? Okay. General Fiction? Okay. Writing is as natural to me as breathing and I have spent my career engaged in writing of all types for various purposes. I can write about anything for hire from technical manuals to a romantic tryst to a web site. I am also an experienced editor and write for a newspaper. I wrote seriously in high school for WKBZ news. By college, I was writing short stories. I wrote curriculum for universities and state departments of education and for the U.S. Army in South Korea. Often I was called on to present at national conferences and direct workshops and developed a strong speaking voice and interactive presentation style I use today to talk about my novels, writing and other topics from communication to change strategy. I write for Spotlight magazines in print and online. I also write for Examiner.comand AXS.com. I have two novels in progress, Caribbean Odyssey and Escape to love. 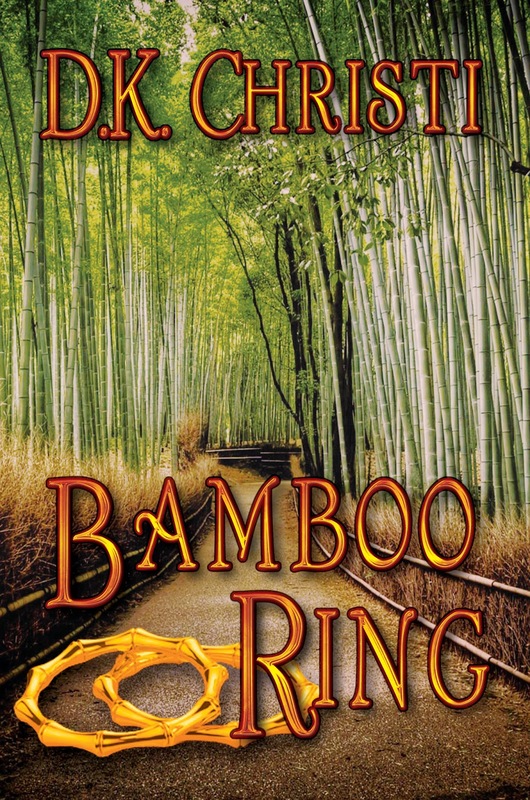 The first is part of the Bamboo Ring series that includes the currently available Ghost Orchid and Bamboo Ring and the second is a story of tunneling to escape a northern POW camp during the civil war by my several greats grandfather. I'd have to favor Mel since she appears in all the stories, often found lacking sympathy by readers. However, Neev in Ghost Orchid is a close second. Bits and pieces of all the people I know, including me, are condensed in my characters. Readers love to love and hate them, often making comments about their choices and values as they would gossiping about friends. They also shed tears for the emotional moments my characters experience. They are very realistic in their thoughts and behaviors - like friends, family and neighbors. I have a great home office with a wall of windows where I watch the cardinals, turtles and rabbits when I drift away from my writing. I love taking short cruises to write also. Antone St. Exuperey and Dom Luis are two favorites, one for allegory and the second for philosophy. I always loved Russian historical novels and spy novels. While I enjoy watching science fiction, it's difficult to find books I like to read. Did you find writing a query letter a challenge? If so, how did you overcome it? I find the entire marketing of my work a challenge. I am accustomed to marketing and public relations for others and know it quite well. I find it difficult to promote myself and am uncomfortable with it. I have the knowledge and the tools and do use them. However, I am a person who prefers a publicist and a publisher that includes promotional support. Be patient. Be sure what is written is something others wish to read by working with professional critique groups and testing your ability to sell your writing by submitting to magazines and contests. Be sure work is edited by a professional editor and goes forward with zero errors and zero inconsistencies. Attempt to get an agent and let them market to publishers and advise regarding the fine points in a contract. Get a proper contract example from someone who is a member of the Author's Guild. Make sure connections and networking are already in place before publication. My muse and the love of my life provided significant inspiration for my best writing, my mom has been a great reader and helps me with book signings and fairs and my friend, Judy Schuitema, is my first editor.Lisa Smith and Linda Houle at the now closed L & L Dreamspell represented all a small press should be. I miss working with them. What works are currently available? My current publications are fiction novels. I'm thrilled that Vinspire is re-printing Ghost Orchid with an October release date. 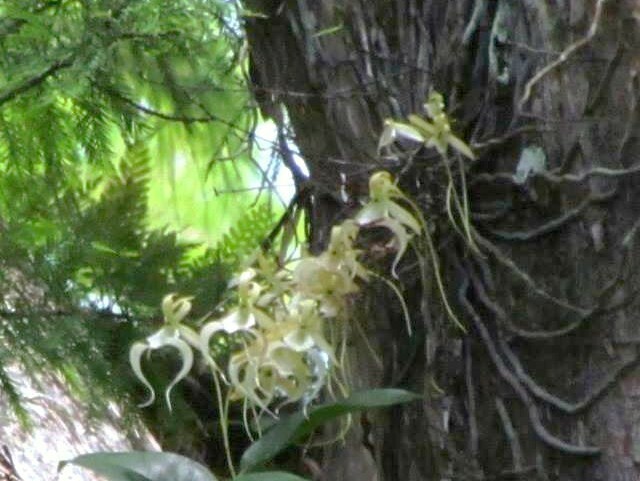 This novel of love, loss and redemption, surrounded with coincidences and the mystery of ghost orchids has thrilled many readers who are mesmerized as I am by the rare and endangered ghost orchid of Corkscrew Swamp and its affect on those caught by its spell. 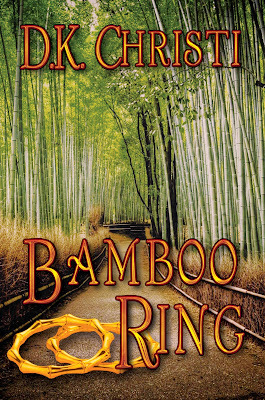 Bamboo Ring, the prequel to Ghost Orchid tells the back story of Mel, a character in Ghost Orchid and is rich with exotic, foreign locations and adventure. This is my first book review, and I am honored to be able to do it. 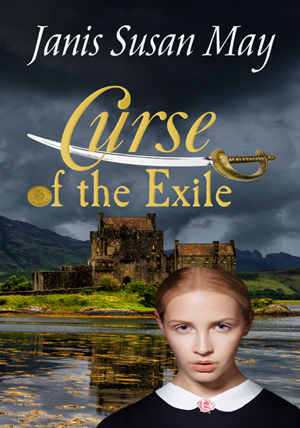 Curse of the Exile begins with a gentle story-telling quality. The beautiful child cloistered in an Italian villa, the eccentric father and delicate ailing mother. The story is told by Angelina, as an adult recalling her childhood. She recalls the sunny bright villa and the protective care of the household servants. The cataclysmic event sending her from sunshine to the dull, harsh, coldness of England. Everything was an affront to her senses. The reader is quickly pulled through the complexities of the teenage years, attending a rigid private school away from her parents. After her mother’s death and an absentee father, she is offered a job as a housekeeper. In a rare burst of rebellion, Angelina refuses to comply with Aunt Cornelia’s plans and runs away to find her father. Her darling Pappa, the darling of too many women to count, was a librarian by trade and a womanizer at heart. He found it difficult to nurture this gangly sixteen year-old. Instead, Angelina became his assistant librarian, an assistant doing the majority of the work. They moved from town to town to work in private libraries. Then she met him… her first love, Myles Stonecypher. Everything was as beautiful as a dream… until she realized he had a less ladylike dream which didn’t include marriage. Scorned and bitter, Angelina settles into the belief that she will never marry. She accepts her lot in life as a librarian’s assistant in cold foggy England. Just when she thinks it couldn’t get any more dismal, her father takes a job in rural Scotland. Here is where Angelina meets Sir Nairn MacTaggart in his natural surroundings and she is smitten, but would rather die than admit it. The castle staff each has their own role to play in this charmingly romantic tale of two strong-willed people in stormy Scotland. After I finished reading it, I was surprised to be in sunny California. Well structured literary work. Excellent character development and story-line. It’s interesting how May uses light and weather to progress her story. Starting with a gentle, sunny home—surrounded by gentle caring people. She was forcibly removed from warm Italy, and the cold-harsh environment of England shocks her childish perception of the world. Like-wise she is now surrounded by cold and harsh people as she watches her Pappa run away and her mother wither away. Next May takes the climate one step further by going to the wilds of stormy Scotland. Everything about Scotland is cold, stormy, and violent. Her growing attraction to the lord of the castle is marked by thunder storms. The mysterious Mad Margaret, the sword of the exile, and the unexpected arrival of her teen-age crush (Stonecypher) compete for attention like a strobe-light show… or better yet, a lightening storm. Fascinating display of light and weather elements. It’s no wonder her work has been compared to Virginia Holt and Phyllis A Whitney. Tell us something about your background and family and what led you to start writing? Nolan: I started writing as a kid. I wrote mysteries, sports, and animal stories. I loved to write fiction and to retreat into a “world of my own”. I wrote three manuscripts while I was in the military service. When I got out of the service, I put my writing aside and went back to graduate school and helped raise our four kids with my wife, Lorena. I taught special education for fourteen years and owned a restaurant at the same time. All of our four kids finally became college graduates. When I was close to my 40th birthday, I decided to take up writing once again while I taught and ran my restaurant. I sent excerpts of my writing to several New York literary agents and one day I got a telegram (you can tell that that was a few years back) from the Glenn Cowley agency. He liked my writing and agreed to represent me. I went on to sell five titles to Berkeley Publishing of New York and E.P. Dutton. My agent told me that a new publishing house from Melbourne, Florida was looking for quality books for middle school boys. 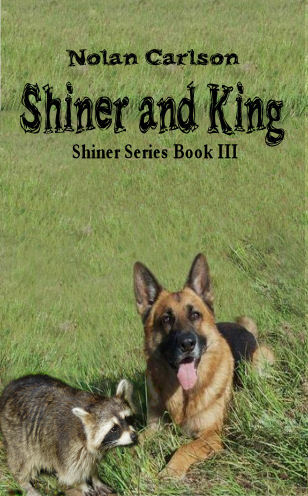 He asked me if I had any interest, so I wrote a book called “Summer & Shiner”. It was about my boyhood growing up in a small rural community in the Flint Hills of Kansas. We grew up much like Tom Sawyer and Huck Finn. It was wonderful. He sent the manuscript to the new publishing house and it was chosen to be their lead hardback book. They received over 300 entries throughout the nation so I felt very fortunate. Seventy-five percent of the book was fact and twenty-five percent was fiction. Shiner was our pet raccoon that we released from a trap. The book was held by Disney Studios for six months as a movie option. From that point it won first prize in a state-wide competition and was awarded a plaque at an author’s banquet. It also won favorable reviews in Booklist in Chicago. The initial book became the first in a series of six: Summer & Shiner, Shiner’s Return, Shiner & King, Shiner & Baseball, Shiner & Hobo Joe, and Super-Kid vs. Super Bully. 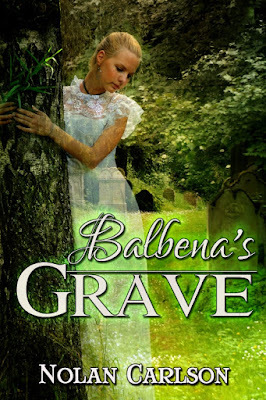 I’ve written many other books over the years including: The Wizard of Halloween, Balbena’s Grave, The Lopsided Angel, Vagabond Jack (wolf-dog), Lewis & Clark & Davey Hutchins, and many more. 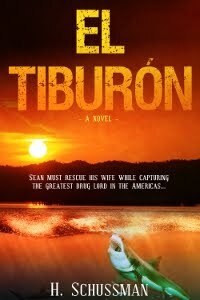 My books have been sold through the Troll Book Club as well as Amazon and Barnes & Noble. The minister of education from the Soviet Union was presented my series of books when he visited the U.S. a few years ago. 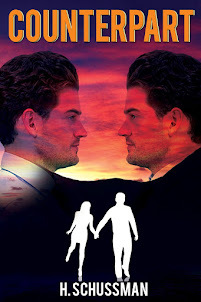 “Broken Vows”, my latest book from Vinspire is a departure from my previous genres. It seemed to fit better in Vinspire’s list of genres. Could you tell us a little bit about your family? 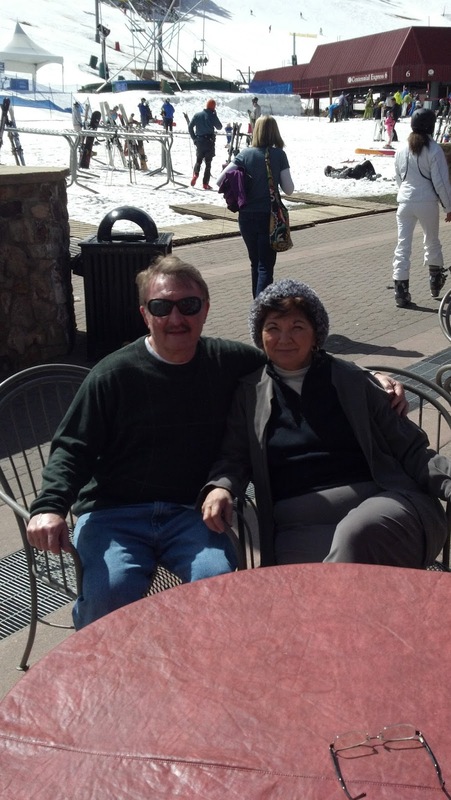 My wife and I have been married for 44 years. She is a former nun. She is a wonderful, hardworking, very intelligent, and a very creative person. She is a retired algebra teacher and for the past 15 years has been the full-time director and volunteer at Community Health Ministry in our town helping people in two counties. I obtained a Ph.D. some years back and teach two college classes, counsel people, go to schools presenting programs on reading and writing, and of course, always have a book-in-the-making. We have four grown children and six grandchildren. Currently, one of our daughters is courageously fighting 3rd stage brain cancer. She has received love and support from so many as well as the wonder authors and staff at Vinspire Publishing. The CEO of Vinspire is always helpful, creative and supportive. And the authors are great people always supporting and cheering one another on. I feel proud to be one among these very talented and creative people. I write mostly YA books for middle school boys but also have a book out called “Beguiled” from Vinspire Publishing that is a Teen Paranormal. And just recently my book “Broken Vows” was released from Vinspire and it’s a romance/suspense. 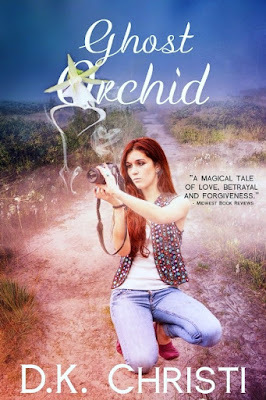 It is about a young, dedicated priest who falls in love with a young war widow. The setting is small town American in the late 1940’s. I just finished an adult suspense novel titled: “The Sinister Minister”. 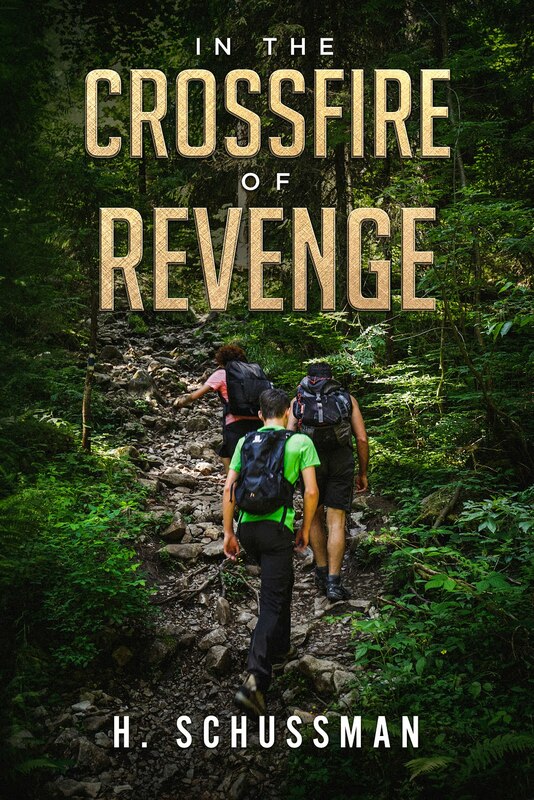 It is gritty and reveals what some people will do at the expense of others to gain fame and fortune. Carley Bimberg in the Shiner series because he “is” me those many years ago. I used to be very disciplined and wrote at least two hours daily in my den. I burned our six electric typewriter back then. I now have five manuscripts backlogged, so I write just when the inspiration hits me or a germ of a new idea takes over. Who are your all time favorite authors? I actually have several. But, I’ll name just three: Mark Twain, Truman Capote, and Normal Mailer. I am an avid reader and recently read 14 novels in one month. Final Question: Could you tell us a little about your latest book “Broken Vows”? Heidi, here is the blurb on the back cover: One man’s promise to God becomes his torment. When Fr. Dan, a charismatic young priest, starts his first assignment at St. Francis, he helps transform a tired, complacent parish into one of renewed faith and hope. He’s loved by the parishioners and knows he is following the right path. Still, there is something missing in his life. Something he can’t place until a beautiful war widow arrives from Alabama. Lucy captivates him and steals his heart. Though there’s been a hint from the Vatican for decades that someday priests will be allowed to marry, Fr. Dan doesn’t believe it will happen in his lifetime. So he’s left with a painful choice. Does he choose to love Lucy from afar or walk away from his commitment to God and the Catholic Church? 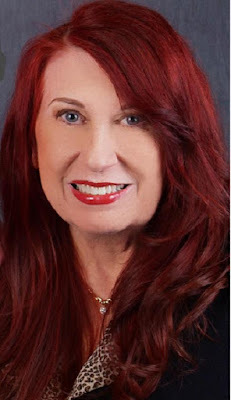 Thank you, Heidi, so much for including me as a guest author on your blog.